It's so beautiful! I love the way you finished it. Oh, so nice! never seen this design before... thank you to share the picture with us. I can't imagine any more perfect or precious finish for this design. 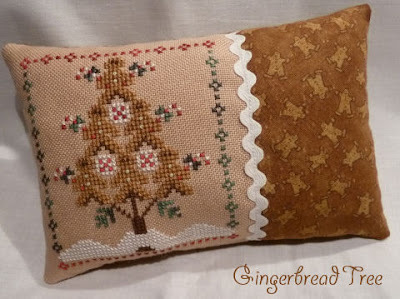 Would you kindly tell me where you found the darling gingerbread man fabric? Thanks so much for the inspiration.